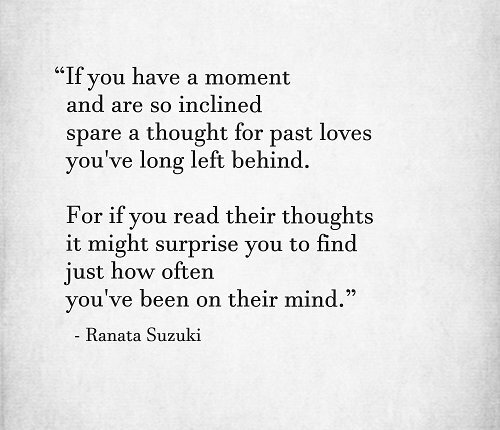 A writer of words, a poetic soul, an emotive expressionist, Ranata Suzuki is a poet and quote writer whose eloquent words form with painful clarity the sad yet beautiful world of the broken heart. An anonymous writer based in Sydney, Australia, Ranata is known only by her avatar of a bird carrying a book. 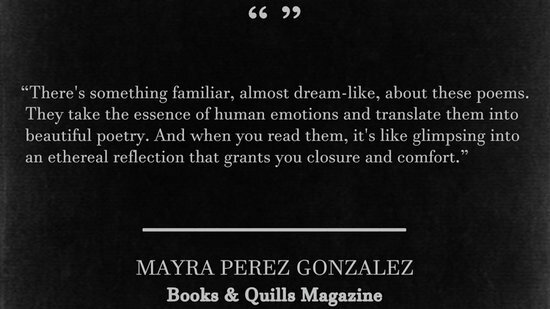 For years she has touched the hearts and minds of people across the globe with her words, sharing excerpts from her personal journal in the form of poetry and quotations on social media. 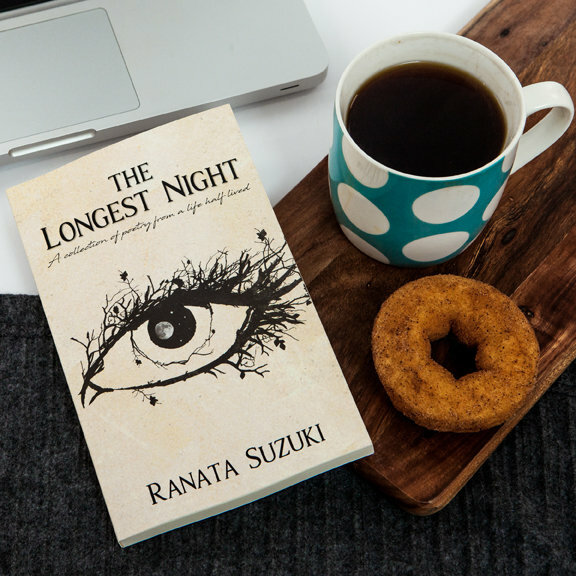 The publication of The Longest Night marks her long-awaited debut poetry collection, which is set to enthral both avid fans and new readers alike with its heartfelt sincerity covering the all too relatable themes of heartbreak and loss. 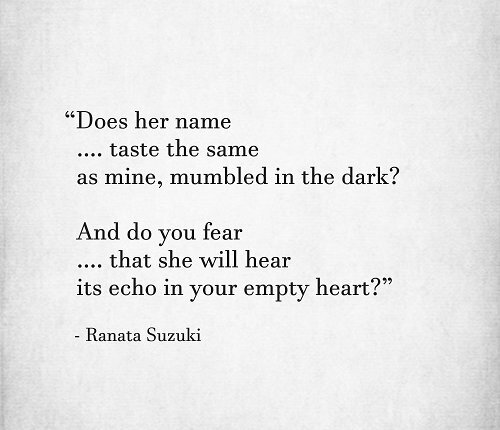 Always emotive and spoken with raw honesty, her voice will move you quite simply because it sounds so much like the voice inside your own heart. 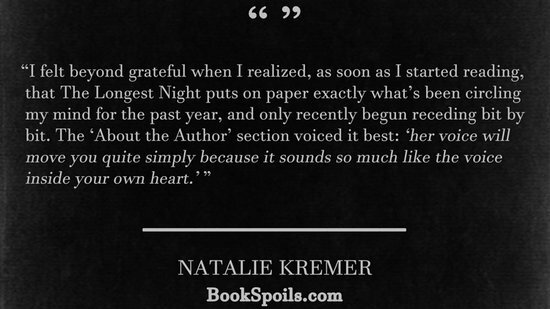 Rate The Longest Night on Goodreads and receive a thank you card and Longest Night bookmark! 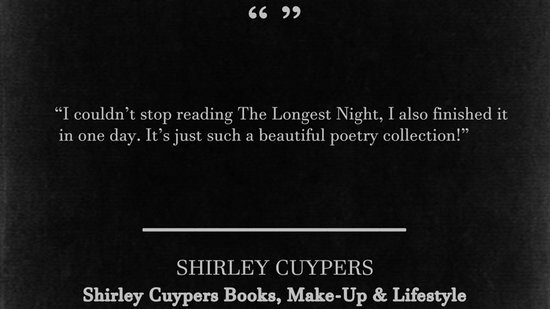 Simply give 'The Longest Night' a rating score (and a few nice comments if you wish) on Goodreads and email a screen capture to TLNprizedraw@gmail.com. 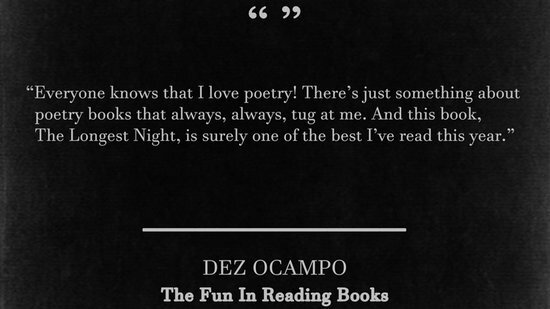 You'll then be contacted back for your postal details and your thank you card and bookmark will be posted to you. 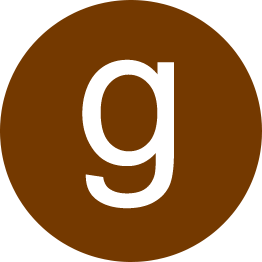 * Entries close when stocks run out and this advertisement is removed from this site. 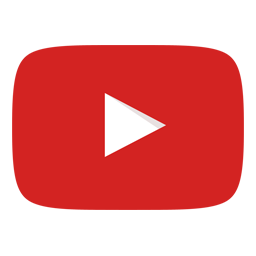 Entrants will be contacted directly by email. * Review must consist of a rating score - a text review is not compulsory. 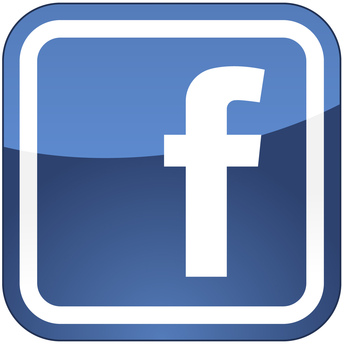 * Winners must be willing to supply postal address upon request for the postage of their book. Like the words? Spread the word! 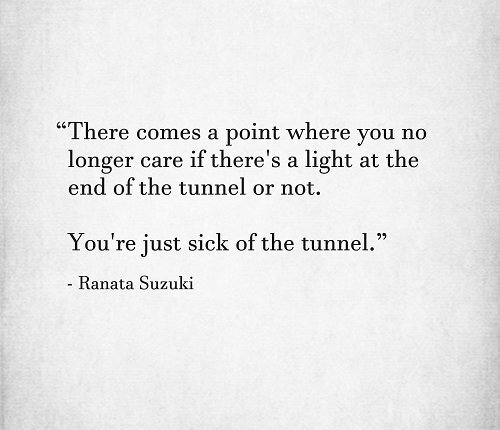 Heartbreak and grief touch every soul at least once in a lifetime and Ranata Suzuki translates those raw emotions into words. 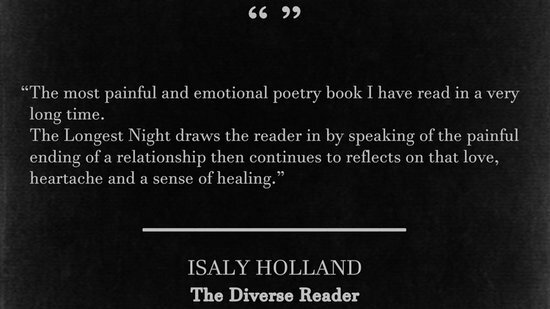 The Longest Night combines strikingly poignant quotations, powerfully emotive poetry and captivating silhouette imagery to form a mournful lover’s journal that explores a side of love that is deep, dark and hauntingly beautiful. 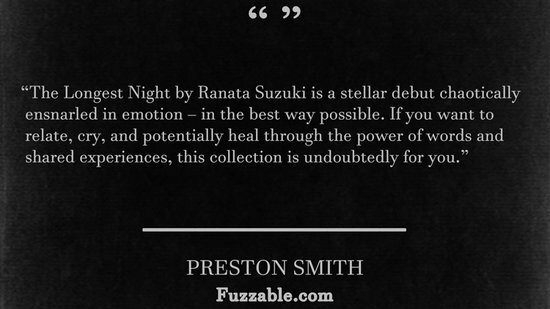 Each of the book’s elements are skilfully woven together to reveal fragments of thoughts and feelings that seem almost to belong to the reader as years of painful longing are condensed into the context of a single night. 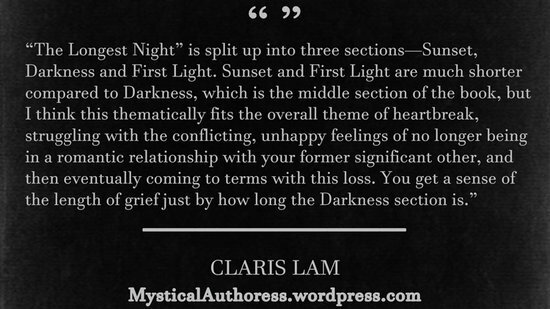 A book for anyone who has found themselves separated from someone they love no matter the circumstance, The Longest Night is a companion for the broken heart on the painful emotional journey that is losing someone you love from your life. 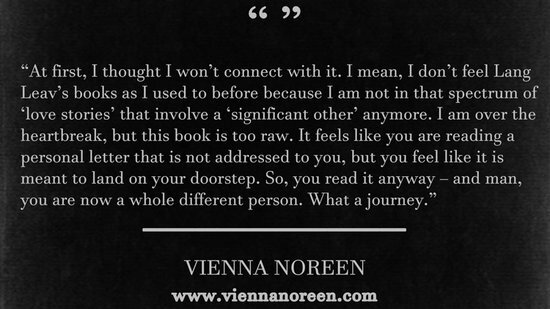 Its words serve as a comforting reminder, whether you are travelling this road or have recently completed this journey yourself, that despite the loneliness you may sometimes feel along the way none of us walk this path alone. 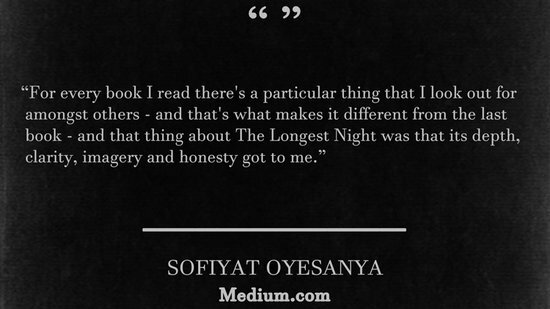 Reviewers and media identities may refer to the below link to download The Longest Night media kit.